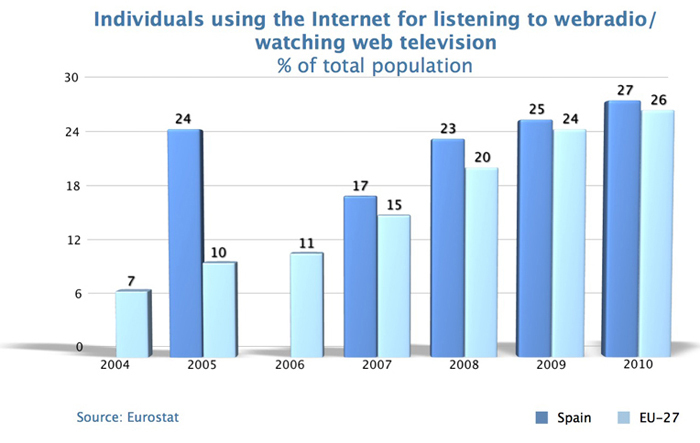 In 2010, 26% of the population in the EU-27 used the Internet for listening to webradio/watching web television. Sweden and the Netherlands stand out with values of 56% and 53% respectively, well above the EU-27 average. Spain records a value of 27%, slightly above the EU-27 average. 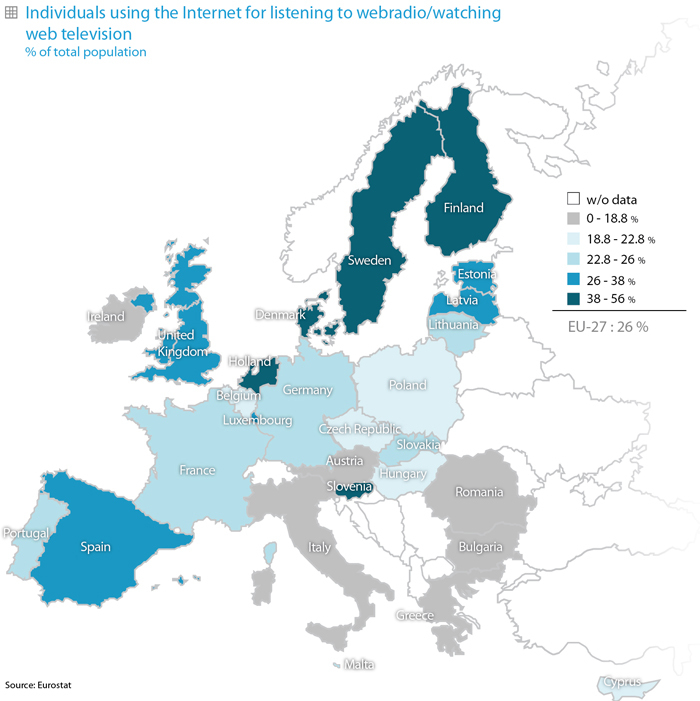 Number of individuals, expressed as a percentage of the total population, who have used the Internet for listening to webradio/watching web television in the last three months.